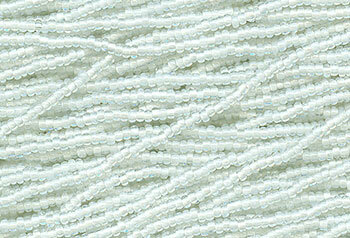 Czech strung glass white heart seed beads. White hearts have a translucent outer color with a white inner core. 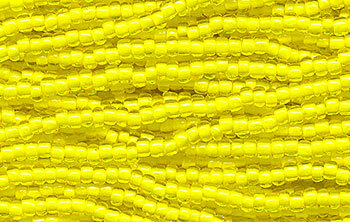 It creates a bead that is not solidly opaque and also not transparent. The most commonly known white heart is the old ruby or red white heart found on old beadwork items from the 19th century. These are contemporary colors. 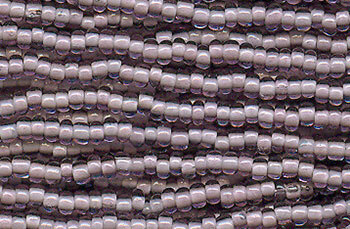 They are not reproductions of an old color, just a nice new bead color. 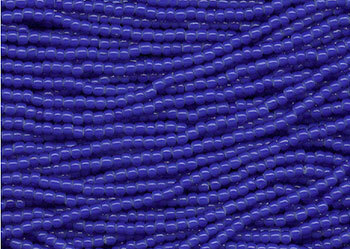 These beads are sold in hanks of 20-inch strands, typically with twelve strands per hank. 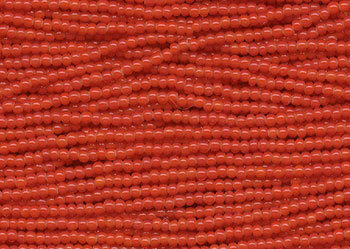 Note that these beads combine with other Czech strung seed beads for the quantity discounts. 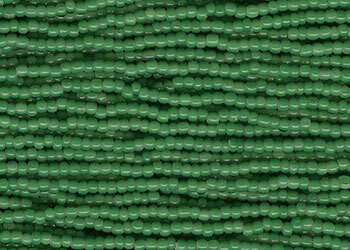 While not a reproduction color, this green has a very nice old-time feel to it. Very translucent and a great color! 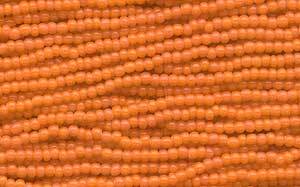 A very nice color for doing old-time reproduction bead work. 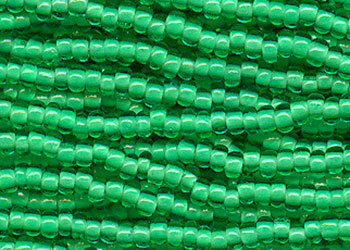 While historic white hearts are nearly always deep red, this color looks like a an old greasy or oily green. Contemporary cobalt blue white hearts. 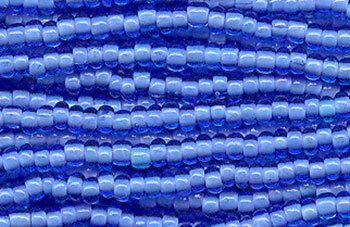 The blue is pretty dark so the white core is not readily apparent by looking through the bead. However, it can be easily seen on the edges.